Taking the pill at an early age or before 1975 significantly increases the risk of breast cancer for women with a gene mutation that already places them at high risk of the disease, a new study shows. The study, in the Journal of the National Cancer Institute, found that among women with the BRCA1 gene mutation, taking oral contraceptives years ago increased the lifetime risk of breast cancer by 33 percent to 42 percent when compared with mutation carriers who did not take the pill. Dr. Steven A. Narod, chairman of breast cancer research at the Centre for Research on Women's Health at the University of Toronto, said the study does not mean that modern birth control pills are dangerous for women with the breast cancer gene, but it does add a caution about how they should use the pill. "In this data, the only women who had an increased risk started taking the pill before 1975. Also, they had to take it when they were young, under the age of 25," said Narod, the first author of the study. He said the increased risk for the gene mutation carriers is "mostly women who took the pill when they were young a long time ago." Modern birth control pills have only a fraction of the hormones that were present in birth control pills routinely used before 1975, he said. Narod said the study also showed the risk increased if women started the pills before the age of 25 or if they took the oral contraceptives for longer than five years. The study is based on an analysis of the health histories of more than 2,600 women in 11 countries, all of whom have mutations of the BRCA1 or BRCA2 genes. 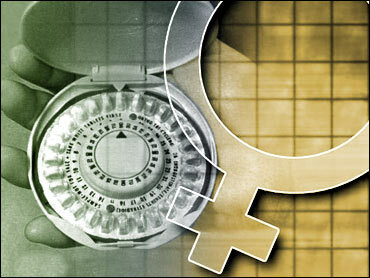 Half of the women studied had taken birth control pills and half did not. The study compared the breast cancer histories of the two groups and found there was an increased risk for the pill takers. Earlier studies have shown that mutations of the BRCA1 or BRCA2 genes increase the lifetime risk of breast cancer by about 60 percent, and even higher in some cases. The mutations are relatively rare, occurring in one of 250 women in the general population, and account for less than 10 percent of all breast cancer cases. Narod said the new study shows that early birth control pill use increases the lifetime breast cancer risk up to about 85 percent for women with the BRCA1 mutation when compared to women without the mutation. Oral contraceptive use was not found to increase the risk among BRCA2 mutation carriers, however, said Narod. Why there is a difference in risk between the two mutations, he said, is not known. Debbie Saslow, director of breast and gynecological cancer control for the American Cancer Society, said the study suggests that women with the BRCA mutations should approach oral contraceptive use with caution, but that the research need to be verified by other studies before the findings can be generally applied. "We don't make broad policy decisions based on just one paper," she said. Saslow said decisions about oral contraceptive use among mutation carriers is complex because the pill is protective, to some degree, against ovarian cancer, a much more difficult to detect type of deadly cancer. "I think women who have this BRCA1 mutations need to talk to their doctors because there is a trade-off," she said. Narod said researchers are gathering data to determine if mutation carriers were placed at even greater risk of breast cancer after menopause if they took hormone replacement therapy. "Based on what I see for birth control pills, I am certainly concerned that giving hormones to women with these mutations might increase the risk," he said. The results from that study will not be ready for about a year, said Narod.